What is roasting and how does it affect the taste? How to prepare a delicious cup of coffee? There is a legend that in the Ethiopian highlands, a shepherd boy Kaldi discovered coffee after noticing that his goats, upon eating berries from a certain tree, became very vivid, jumping and dallying and that they did not want to sleep at night. He also tried some of these red fruits. Kaldi dutifully reported his findings to the abbot of the local monastery who made a drink with the berries and discovered that it kept him alert for the long hours of evening prayer. Soon the abbot had shared his discovery with the other monks, and ever so slowly knowledge of the energizing effects of the berries began to spread. By word of mouth, news about coffee reached the Arabian peninsula, where it began a journey which would spread its reputation across the globe. Today coffee is grown in a multitude of countries around the world. Whether it is Asia or Africa, Central or South America, the islands of the Caribbean or Pacific, all can trace their heritage to the trees in the ancient coffee forests on the Ethiopian plateau. The Arabs were the first who began cultivating and trading coffee. By the fifteenth century, coffee was grown in the Yemeni district of Arabia and by the sixteenth century it was known in Persia, Egypt, Syria and Turkey. Coffee was not only drunk at homes but also in many public coffee houses — called qahveh khaneh — which began to appear in cities across the Middle East. The popularity of the coffee houses was unequaled and people frequented them for all kinds of social activities. Not only did they drank coffee and engaged in conversations, but they also listened to music, watched performers, played chess and kept current on the news of the day. In fact, these coffee houses, quickly became such an important center of information that people often referred to them as ‘Schools of the Wise’. With thousands of pilgrims visiting the holy city of Mecca each year from all over the world, word of the ‘wine of Arabs’ as the drink was often called, was beginning to spread far beyond Arabia. In order to maintain its complete monopoly, the Arabians continued to closely guard their coffee production. European traveled to the Middle East and brought back stories of the unusual dark black beverage. By the 17th century, coffee made its way to Europe and was becoming popular across the continent. Opponents were often overly cautious, calling the beverage “bitter invention of Satan”. With the coming of coffee to Venice in 1615, the local clergy condemned it. The controversy was so immense that Pope Clement VIII was asked to intervene. Before making a decision however, he decided to taste the beverage for himself. He found the drink so satisfying that he gave it his Papal approval. Despite the controversies, in the major cities of England, Austria, France, Germany and Holland, coffee houses were quickly becoming centers of social activity and communication. In England “penny universities” sprung up, so called because for the price of a penny one could purchase a cup of coffee and engage in stimulating conversation. By the mid-17th century, there were over 300 coffee houses in London, many of which attracted patrons with common interests, such as merchants, shippers, brokers and artists. Many businesses grew out of these specialized coffee houses. Lloyd’s of London, for example, came into existence at the Edward Lloyd’s Coffee House. In the mid-1600’s, coffee was brought to New Amsterdam, a location later renamed to New York by the British. Even though coffee houses rapidly began to appear in the New World, tea continued to be the favored drink. However, in 1773 the colonists revolted against very heavy import tax. The revolt, known as the Boston Tea Party, ultimately changed the American drinking preference to coffee. As demand for the beverage continued to spread, there was a tense competition to cultivate coffee outside Arabia. Though the Arabs tried hard to maintain their monopoly, the Dutch finally succeeded, in the latter half of the 17th century, to obtain some seedlings. Their first attempts to plant them in India failed but they were successful with their efforts in Batavia, on the Java island. The plants thrived and soon the Dutch had a growing coffee trading industry. They soon expanded the cultivation of coffee trees to the islands of Sumatra and Celebes. However the Dutch did a curious thing. In 1714, the Mayor of Amsterdam presented a gift of a young coffee plant to King Louis XIV of France. The King ordered it to be planted in the Royal Botanical Garden in Paris. In 1723, young naval officer, Gabriel de Clieu obtained a seedling from the King’s plant. Despite an arduous voyage — complete with horrendous weather, a saboteur who tried to destroy the seedling and a pirate attack — he managed to transport it safely to Martinique. 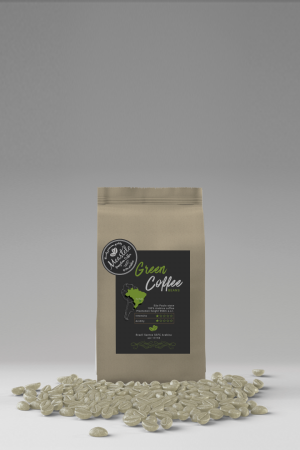 Once planted, the seedling thrived and is credited for the spread of over 18 million coffee trees on the island in the next 50 years. 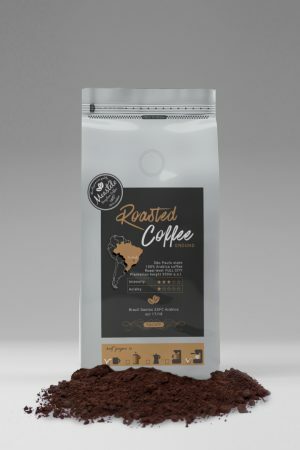 It was also the place from where the coffee trees in the Caribbean, South and Central America regions originated. It is said that coffee came to Brazil in the hands of Francisco de Mello Palheta. He was sent by the Portuguese to French Guiana for the purpose of obtaining coffee seedlings. But the French were not willing to share and Palheta was unsuccessful. However, he was said to be so handsomely engaging that the French Governor’s wife was captivated. As a going-away gift, she presented him with a large bouquet of flowers. Buried inside, he found enough coffee seeds to begin what is today a billion-dollar industry. In only 100 years, coffee established itself as a commodity crop throughout the world. Missionaries and travelers, traders and colonists continued to carry coffee seeds to new lands and coffee trees were planted worldwide. Plantations were established in magnificent tropical forests and on rugged mountain highlands. Some crops flourished, while others were short-lived. New nations were established on the coffee economies. Fortunes were made and lost. And by the end of the 18th century, coffee had become one of the world’s most profitable export crops. Coffee traces its biological heritage to a genus of plants known as Coffea. Within the genus there are over 500 genera and 6,000 species of tropical trees and shrubs. The genus was first described in the 18th century by the Swedish botanist, Carolus Linneaus, who also described Coffea arabica in his Species Plantarum in 1753. Botanists have disagreed ever since on the exact classification. Coffee plants can range from small shrubs to tall trees, with leaves from 1 to 40 centimeters in size, and from purple or yellow, to the predominant dark green, in color. It has been estimated that there are anywhere from 25 to 100 species of coffee plants. 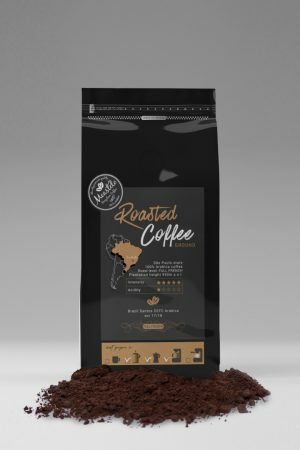 In the commercial coffee industry, there are two important coffee species — arabica and canephora, commonly known as robusta.